BEFORE DEATHGASM...BEFORE BRAIN DEAD...BEFORE BAD TASTE...THERE WAS DEATH WARMED UP! Locked away in a psychiatric hospital for the murder of his parents, no one believed Michael Tucker when he told them he was programmed by a genetic surgeon. Released into the world, he wants revenge.Dr Archer Howell has been experimenting on humans at Trans Cranial Applications, drilling the skulls of his patients and injecting drugs into their brain to create psychotic killing-machines. 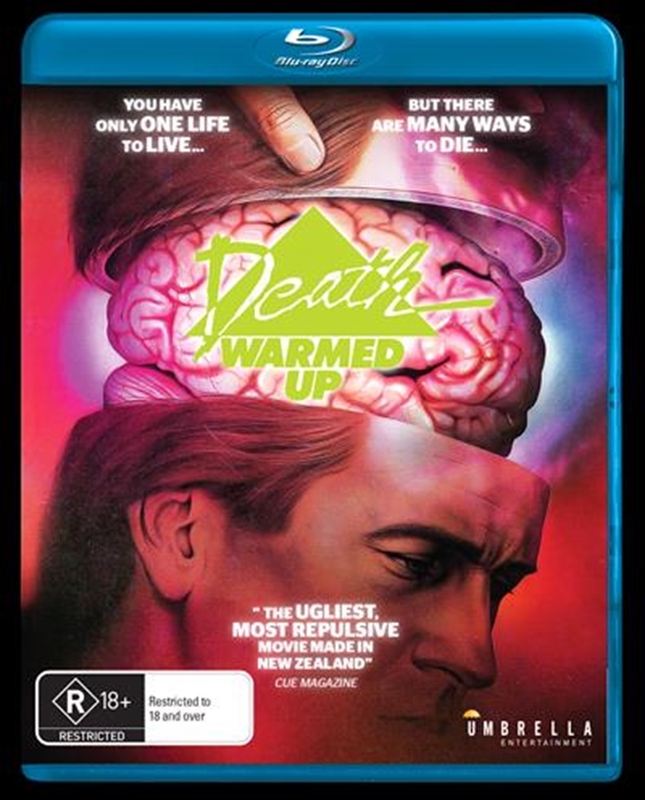 Isolated on an island and left to his own devices, Dr Howell is about to have a deadly visitor...Shot in Auckland and Waiheke Island, New Zealand at the end of 1983, DEATH WARMED UP was reviled by conservatives but adored by fans around the world, becoming a cult hit in the home video era. Directed by David Blyth (ANGEL MINE) and written by Michael Heath (NEXT OF KIN), DEATH WARMED UP is a relentless assault of bold and startling images, unimaginable horror and driving soundtrack.